Jealous because your friends can use their credit cards to pay for parking at their Metrorail stops but you can’t? Be jealous no more. 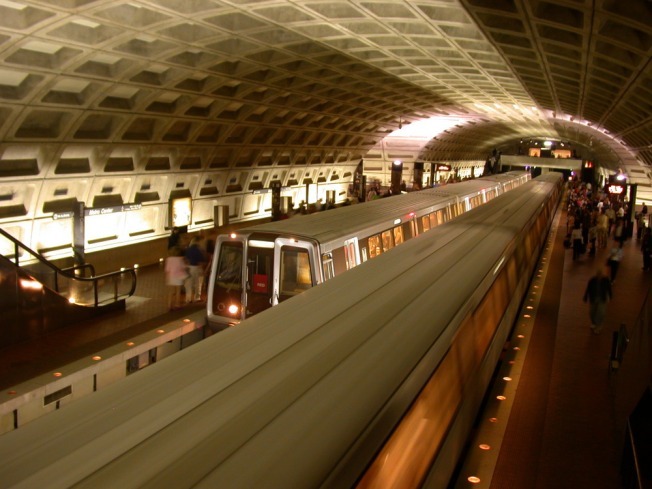 By next summer, 22 more stations will be equipped with credit card readers, Metro said. Right now, only seven parking facilities have them: Anacostia, Franconia-Springfield, Largo Town Center, Vienna/Fairfax-GMU, Shady Grove, New Carrollton and Huntington. They got them as part of a pilot program in 2006. Metro announced Monday that Glenmont, Grosvenor, Rockville, Addison Road-Seat Pleasant, Naylor Road and Branch Avenue are now accepting credit card payments. By summer 2011, credit card readers will also be installed at the Suitland, Southern Avenue, West Hyattsville, Prince George’s Plaza, College Park-U of Md, Greenbelt, Morgan Boulevard, Van Dorn Street, Dunn Loring, West Falls Church-VT/UVA, East Falls Church, Cheverly, Landover, White Flint, Twinbrook and Forest Glen Metrorail stations. Metro adopted a "cashless" parking program in March 2004, which required customers to pay parking fees using a pre-loaded SmarTrip card. SmarTrip payments will still be accepted along with credit cards.